Look, it’s just like in 5th grade when your school got the really cool photographer who let you bring props and pose in front of cool fake backdrops. Of course, when you win the French Open, you get a real Eiffel Tower and a real trophy. Well hello there! 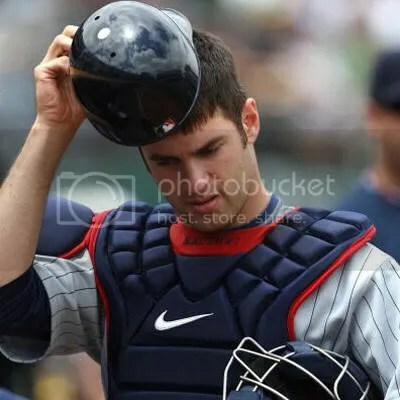 So sorry for my absence – I have missed reporting on the status of my beloved Bills and ogling gents across multiple sport lines to an unreasonable amount, but I am finally back! And what a great way to celebrate my new marriage to Mr. Buffalia (aka Hawk) then to jump right on in to the ACoH! 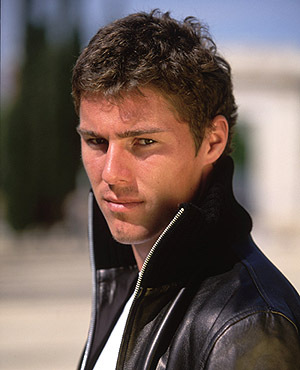 Say ohai to tennis player Marat Safin! 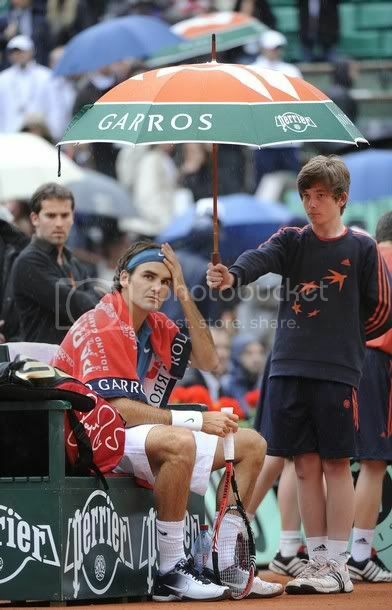 Why yes, it IS time for the French Open! Maria, you're dating Sasha Vujacic. 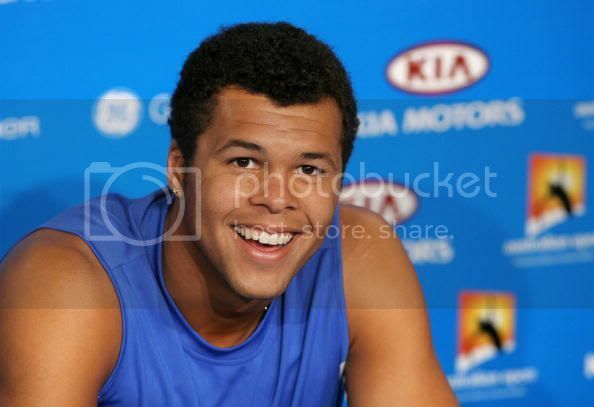 Don't get so excited about the Rafa pics. Despite the fact that no one has been paying attention, some interesting storylines are developing at Roland Garros. Chaos has broken out in the women’s draw, where the top seeds remaining are last year’s champ Francesca Schiavione (the 5 seed), and a rejuvenated Maria Sharapova (the 7 seed). The men’s draw has been by-the-numbers, with the top four seeds winding up in the semifinals. This does not, however, mean these matchups are lacking in excitement — or pictures. Nothing sadder than an about to be defeated millionaire tennis player in the rain. I’m back from my brief moving-related hiatus just in time: the French Open wraps up this weekend, and I’d hate to think we missed the chance to bring you new pictures of certain tennis players who may or may not be the favorite to win this event for the fifth time, especially now that Federer is out.